How often should you email your customers and prospects? Let’s try to answer that question once and for all. Choosing the best frequency for sending emails is a challenge. We want the maximum response possible, which suggests sending lots of emails. Conversely, we want to avoid ‘over-mailing’, which leads to an increased level of inactivity and complaints. That point suggests sending fewer emails. Which strategy is right? As you can see, the frequency with which you send your emails is crucial to your promotional strategy. Your current frequency may be based on outdated ideas. 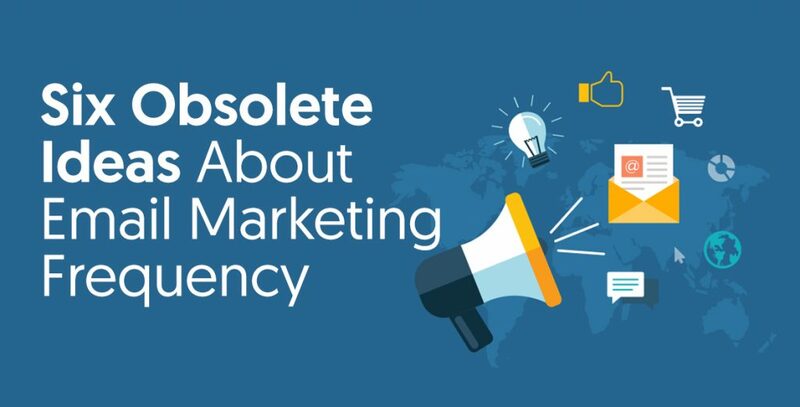 Here are six obsolete ideas about email marketing frequency. Stop doing these things and watch your conversions accelerate. 1. There Is a Right Number of Times to Email Your Prospects Per Week. Ask ten people the right number of times to email your subscribers per week. You will get ten different responses. It’s more likely you would see a heated argument than any consensus on the subject. Crazyegg notes business may send between zero to seven emails on any given week. Why are the opinions so different? The answer is that every business and industry is different. Someone selling digital marketing products will probably email more than an entrepreneur selling pools and spas. Here’s the real truth you must know: you can email as frequently as you want, as long as you provide distinct value. Customers are not going to ignore awesome emails; they just ignore spam. A significant message delivered at the right time is something your clients look forward to opening. 2. All Your Prospects Want to Be Emailed at the Same Frequency. 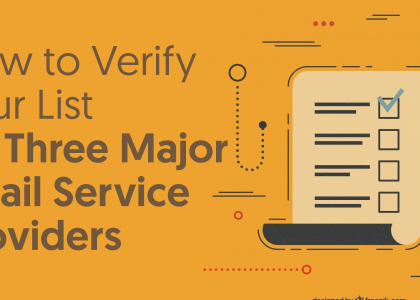 If a customer just signed up for your email list, this is a big opportunity. Compared to the average prospect, they are prepared to buy something. Therefore, you should send to them immediately after signing up, and frequently after that for some time. As time goes on, subscribers are going to cool off. On average, they won’t need your product/service as much as they did in the beginning of their subscription. Take advantage of new sign-ups. You might want to send automatic emails to new subscribers for a specific amount of time. That’s why some people insist on Aweber, which is known for it’s automatic mailing, over Mailchimp. To get deeper into this idea, let’s say you decided on automatic emailing. First, you need to decide how you want your email schedule to look like. For example, you can set the bot to send an email daily for the first month of the subscription, three times per week in the next five months, and once per month after a total of six months have passed. Whatever you choose, make a strong push in the beginning. 3. There’s a Right Time of the Day to Email People. There is not a perfect time that can be applied to every customer everywhere. You have to know your clients like the back of your hand. Send them emails when they have free time. Do you send to professionals? Consider sending to them before work. Do you send to high school students? Consider sending to them after school. Do a survey to understand their likes and dislikes in terms of time. Or select two times using your intuition, and do an A/B test. Your times depend on your customers. Do you want a place to start? Statistics show in general, it’s most optimal to send to subscribers on a weekday. Sunday might be the day in which you should send to the fewest number of subscribers. Monday through Friday are all quite similar when it comes to the percentage of customers that have that day as optimal. Everyone is different and has their own schedule. So, don’t worry about time zones. That being said, if you send the email too early, like 3 AM or 4 AM, you probably won’t get an immediate response. That doesn’t matter as long as they open and engage. 4. The More Articles You Send the Better. You can write one long post, or a few short posts. This directly impacts your email frequency. Oftentimes, your email list is a vehicle for sharing your blog posts. If you write short or long blog posts, your email marketing frequency will change. That’s because your time and resources are limited. So, which one is better? Long blog posts or short blog posts? Creating this content is time-consuming. Consider hiring freelance writers. They cost less than hiring someone full time, and they know how to create valuable content that stands out. Some businesses advertise every blog post to their list. That’s a great strategy. If you write long-form blog posts, these blog email updates will be less frequent. Keep up the in-depth posts. If you want to send more frequently, consider the next (refuted) point. 5. Curated Content Doesn’t Work. How does curated content mesh with email marketing frequency? Well, it takes time to make original content. This has a direct impact on your frequency. Curation takes a lot less time than making individual content. It can also lead to growth in followers on your social media platform. People will follow your accounts, because they know you’re sharing great content in the industry. You can leverage the influence you’ll gain on social media. You can use it to get promotional offers from other companies and brands, which will help grow your email list. Leverage ‘Underground’ Content- You aren’t the only one in your industry curating. You need to be different. Spotlighting “underground” material touches the hearts of your readers and impresses them. Sharing valuable articles with unearthed content is going to boost your brand. Hidden gems are valuable indeed. Use RSS (Rich Site Summary)- RSS might be referred to as the Twitter of the past. It’s not obsolete like the dinosaur though. You have no idea how much quality content you’ll miss if you’re not using it. You can find unique content through RSS, more than only gleaning through Twitter. The alerts provided by RSS also gives you the benefit of being able to promote the “big boys” first. Sometimes curation success depends on speed, not just content. Brands like Moz and HubSpot see heavy sharing of their content. You won’t be the only ones sharing them, so share them first. Increase Your Visibility Via Infographics- It is hard to make original content. Consider going beyond simply “borrowing” content from other websites and twisting it a bit. Make an infographic or Powerpoint of their content. People love things that are easy to share. Better yet, you will find yourself with desirable content. Moreover, you might impress the original creators; they might be willing to share your content with their audience. Their followers may follow your brand, improving your email subscriber count. List segmentation is a must in a modern email marketing campaign. Segmenting your communications is going to improve your marketing campaign. Some customers may fall into the same segment. For instance, you may elect to email the following segments. People who spent $200 at your store last month. Subscribers who signed up for your email list in the last 3 months. Customers who opened your last five emails. Well, some customers may fall into all those categories. And you may be worried about your frequency to these customers. Should you scale back? Only if you’re not providing a benefit to the consumer. The number one rule of marketing: provide value to your customers. 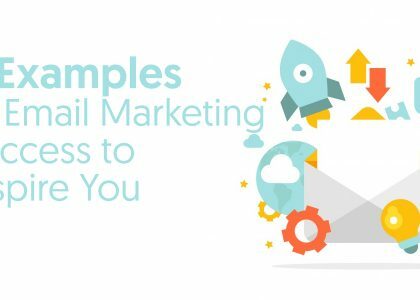 Email marketing doesn’t always mean selling your products. Give your customers tips, tricks, and useful information that can associates value with your brand. For instance, send an article that women ages 20-29 would enjoy instead of an ad for summer shoes. Your customers aren’t all the same. The reality is that most businesses don’t focus on just one type of client, even if they sell only one product or service. For example, if you own a recording studio, you are appealing not only to musicians, but also to voice actors and producers of audio books. These are different types of customers who have very different problems and needs. Treat them in different ways. Having an email marketing campaign that focuses on one niche only is great. Yet, don’t stop there. Drill down and make your emails as personal as possible. Then you don’t need to worry about frequency. What’s the secret of email marketing frequency? Get to know your customers better. Build friendly relationships with them. One way you can do that is to send amazing content, such as a robust newsletter. Use the goodwill you build up to ask what customers want to see more of. Great content is a two-way street. Send content you have a competitive advantage in. If you can make infographics quickly, then give that a try. Your ROI is improved when you play to your strengths. You also have more flexibility when it comes to your frequency when you do this. How many emails do you send per week? Let us know in the comments.